There’s a reason that Ohio’s capitol sits almost perfectly in the center of the state: so all of its residents have easy access! If you’ve never visited Columbus, Ohio, you really need to start planning a trip. If you’ve never visited during the holidays? You’re really missing out on the merriment! go Beginning on November 18, 2016 Columbus holiday events are not to be missed! Check out our 9 favorite reasons to head into the city for the holiday fun this year for this year’s Columbus Holiday Guide. From November 19 through January 1, 2016, http://cinziamazzamakeup.com/?x=miglior-sito-per-comprare-viagra-generico-100-mg-a-Milano Franklin Park Conservatory hosts acquistare viagra generico 100 mg consegna rapida a Napoli 50 Merry Days. The annual holiday event showcases exquisitely themed rooms with a Christmas flair. Gingerbread house making and visits with Santa will definitely get your family in the Christmas mood, and on special Saturdays & Sundays in December kids can even make their own Christmas presents for a small charge. During go to site 25 Bright Nights, the conservatory stays open after hours to showcase the festive decorations in a night setting and offers hot beverages around a bonfire and live entertainment. On December 6, 2016, using lasix with klor-con Bicentennial Park and get link Scioto Mile kick off the holiday season in Columbus with its prezzo sildenafil farmacia Grand Illumination Ceremony. A spectacular light show, family-friendly activities including face painting, carolers singing popular Christmas tunes, and even a meet and greet with the main man from the North Pole. Holiday Elf Jugglers will provide loads of laughs, and an hour before the ceremony begins, kids will be entertained with fun crafts and tents filled with giveaways. Visitors will delight in following over 10,000 luminaries that line the walkways in Columbus’ http://maientertainmentlaw.com/?search=find-cheap-cialis German Village . Spectacular Christmas decorations, shops filled with fun gift ideas and presents, and restaurants that are perfect for heading into for a snack or some hot chocolate. 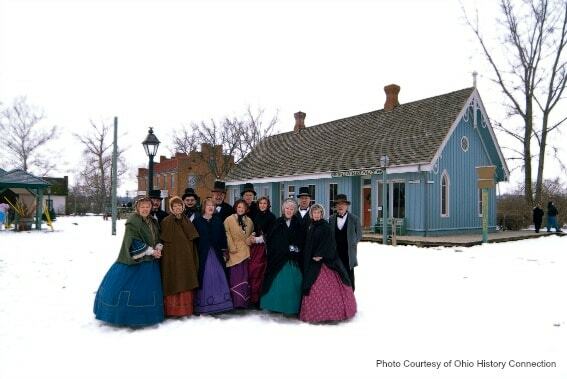 German Village caters to families during the holidays, and you may just come upon carolers and live music so feel free to sing along with the Christmas songs you hear. Horse-drawn carriage rides are also offered. Don’t forget to bundle up, as most of the fun is outside! Mark your calendars for November 18th- that’s the night http://maientertainmentlaw.com/?search=female-viagra-uk-purchase Easton Town Centre officially kicks off the holiday season with its viagra generico 200 mg pagamento online a Venezia Holiday Lighting Ceremony! This year’s festivities include a 4-D experience based on J.K. Rowling’s Fantastic Beasts and Where to Find Them. What’s new for this year? The fun includes floating candelabras, acrobatic performances, a holiday parade featuring larger-than-life balloons, entertainers and Santa! All of this merriment leads up to the 18th annual celebratory lighting of its iconic 50-foot tree! The glimmering giant will feature 7,500 lights and 1,000 ornaments. Can you imagine what one million twinkling lights would look like? How about three million? Families can get wild in winter with Columbus Zoo and Aquarium‘s Wildlights beginning November 19, 2016! A nighttime spectacular filled with three million Christmas lights, the zoo illuminates everything that stands still using energy-saving LED lights. Reindeer, a diving Santa Claus at the Discovery Reef area of the aquarium, and two light shows will have your wee one’s eyes all aglow. Ice skating will be available for visitors, and skate rentals are available for $5.00. On Saturday, December 3, 2016, dress up in as much Christmas garb as you can, tie on a few jingle bells, and help support a great cause while feeling healthier about yourself and your family. Every year, the Jingle Bell Run/Walk begins at Hyatt Regency Columbus and helps support a great cause, The Arthritis Foundation. Kids and adults can choose whether to walk or run, and children 10 and under can participate in the Snowflake Run including superheroes, Artie the Elf, and Santa Claus. Since 1876, North Market in Columbus has been providing locals with fresh meat and produce. Come find amazing food for your holiday feast, while enjoying extras including special deals, children’s crafts and activities, and even live entertainment provides for a festive atmosphere. If your kids want to let Santa in on their Christmas list, he’ll be strolling through the market with Mrs. Claus ready to listen. On special weekends during the holiday season, live reindeer visit the outdoor pavilion. Ohio Village in Columbus turns into an eighteenth century town filled with shows, activities, and crafts geared toward folks from 1 to 101. Christmas Carol Puppets in the School House to a visit with St. Nicholas in the Church, Dickens of a Christmas has treated families to holiday traditions in a festive setting. In the Farm House, parents and kids can stop in a grab a tasty treat and check out the daily holiday meal. Make sure to dress warmly, as many of the events including carolers and other actors, are outside. Image courtesy of the Capitol Square Review and Advisory Board. The Ohio Statehouse, built in 1861, has guided tours that allow families to step back in time and see what typical holiday decor may have been used in the decorating of the Ohio Statehouse. Free holiday performances by local musical groups at noon give families a great reason to visit midday. Santa and Mrs. Claus have even been known to make an appearance, so keep your eyes peeled. December 1st is the first day you can check out its Holiday Festival and Tree Lighting fun. Do your kids love watching The Polar Express on television during the holidays? How about watching it on a giant screen in their jammies? On select weekends in December, COSI plays The Polar Express on its National Geographic Giant Screen Theater. Pre-show activities include games and surprises. When the kids find out that they can have hot cocoa and cookies during the movie, no doubt they will ask to watch the holiday movie on the big screen every year! Don’t worry about dressing the wee one up; pajamas are encouraged. December 9, 2016, is the first showing. Which Columbus holiday event are you looking forward to most? Please let us know in the comment section below!